Over the last 15 years, I have built up a substantial VPN site. Just in case you don’t know what a VPN is, it is a service that allows you to protect your data online by encrypting your Internet connection. It also enables you to circumvent geo-blocking. Offering VPN services is 100% legal and there is nothing illegal about using VPN connections. However, out of the blue, AdWords decided to suspend my account. They were claiming that my website would be in violation of their terms and conditions and that this is the reason why they have to block my account. I tried to appeal my AdWords account suspension and asked them how it was possible that over the last 15 years I was able to promote my VPN website with Google AdWords without ever getting banned. I specifically wanted to know how it can be that they could suspend my account out of the blue without giving me any warning. As I stated in my reply, I wanted to have an explanation as to why I was not made aware of the changes in those terms and conditions that led to my account being suspended. I believe it is the responsibility of Google AdWords to keep all users aware of any changes in terms and conditions and allow an appropriate time-frame to implement those changes to our websites. 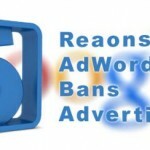 I am very disappointed in how AdWords has treated me after they banned my account. 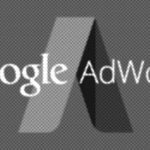 My impression is once your account has been suspended, Adwords will treat you like a criminal. How can it be that in some cases it takes 5 to 7 business days until they reply to messages and for 99% of all replies I can see clearly that they used pre-written templates instead of actually writing a reply that relates to the question asked. I did some research online and I came across many former AdWords users who have experienced exactly the same issues – that once your account has been banned they will treat you like dirt and it gets very complicated and almost impossible to communicate with Google AdWords. To be honest with you, I was really in trouble because by having the AdWords account blocked I basically lost my main source of income and I had to find a way to get my business back. The first thing I did, naturally, was open a new account. I thought that if they wouldn’t allow me to reinstate my old account, I would start over with a brand-new one. It took less than one hour after I opened my new AdWords account to receive an email that the account had been shut down as well. I know there is a legal way to open a new account and I will find that way. I will not have Google AdWords destroy my business like that. If your AdWords account has been banned, please leave a comment below and share your story with us so that we can all learn more about how AdWords is suspending accounts.